FAQ – How Do I Check My Progress? Home / FAQ / FAQ – How Do I Check My Progress? Single users can view their current scores, processing power, and a graph showing their most recent scores right on the dashboard (first page after logging in). To view your comprehensive stats and progress, click on Your Progress (top menu) and select which progress/results you would like to show on the graph. For badges and rewards, click on Your Achievements (top menu) to see how you are doing. For deep tracking of all your activity results, click on Your Profile, then Your Results. Under each tab on this page you will see a list of every score and result since your first time going through the program. 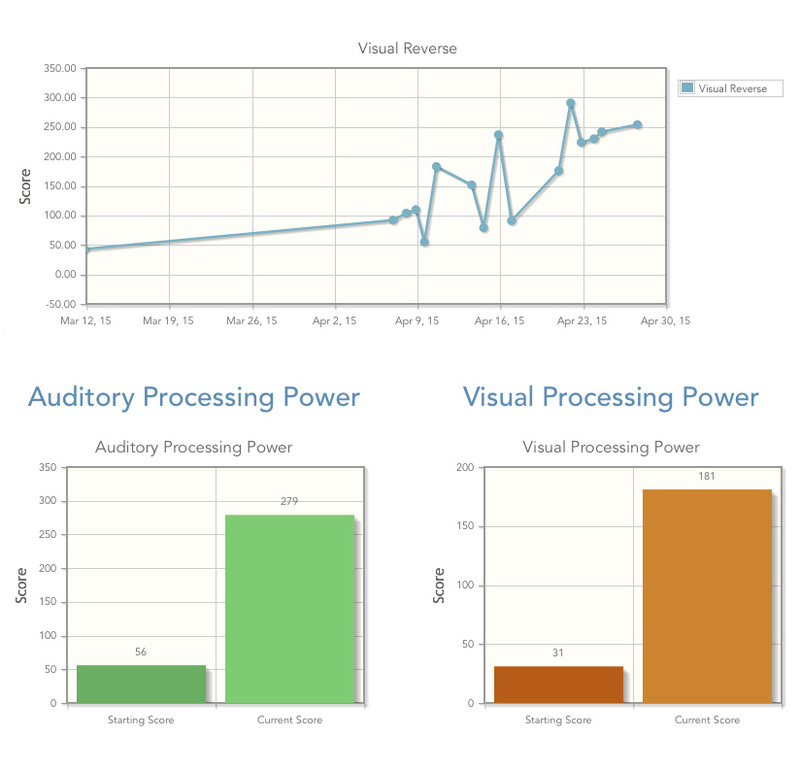 Admins have the ability to see progress graphs and scores for all of their users. 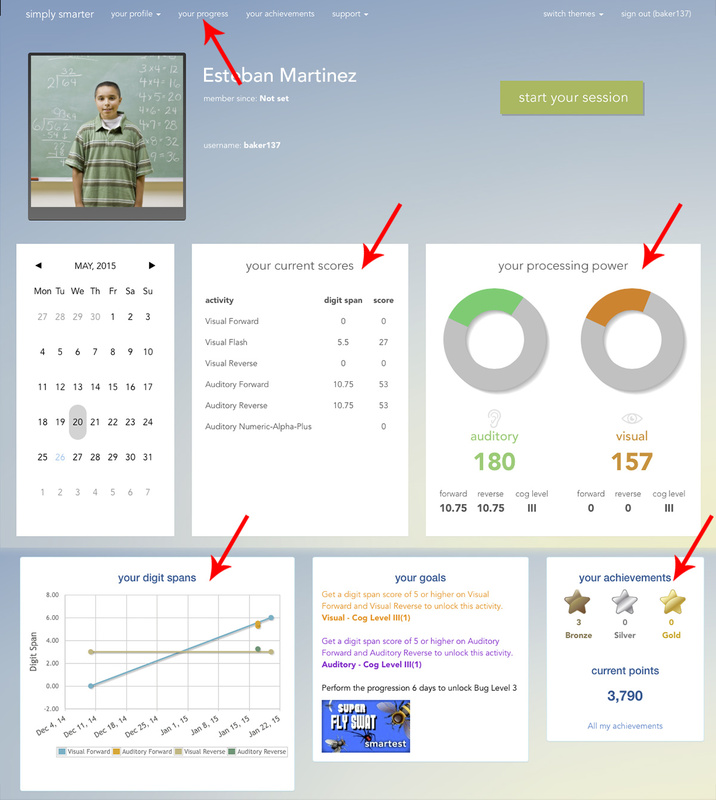 Many of the common scores are available on the dashboard. You can quickly see each users current scores in the boxes on the dashboard. If you wish to view their current digit span graphs, click on the Show Progress button next to the user on the dashboard. 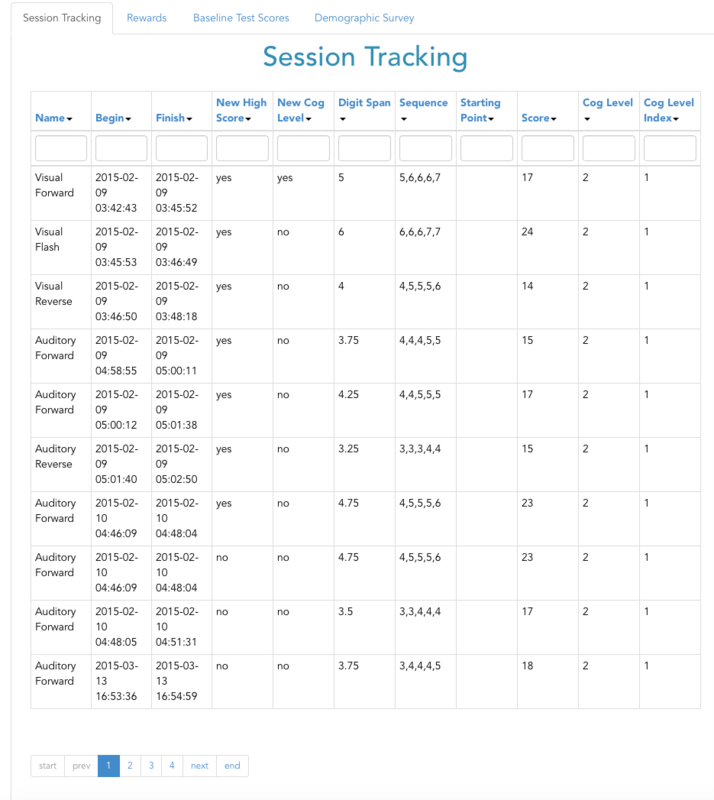 To view comprehensive stats and progress for a specific user, under Manage Your Users, find the user you wish to view. Click on the “eye” icon to view their profile. Then on the right-side menu, click on that users progress, results, or achievements pages to view all current scores, graphs, badges, achievements, and deep tracking of all scores and activity results. Since the Kick-Start program is designed for extra practice and early intervention, the scores are not tracked and counted towards progress. It is only in the main progressive program that data and scores are tracked and rewards are achieved.